Ferreira is thrilled to announce the launch of its Theme Weeks! Four times a year, our Chef will showcase a seasonal ingredient that he likes to work with. From December 6 to 10, 2016, you can taste truffles in every form in a five-course tasting menu presented by Chef João Dias. 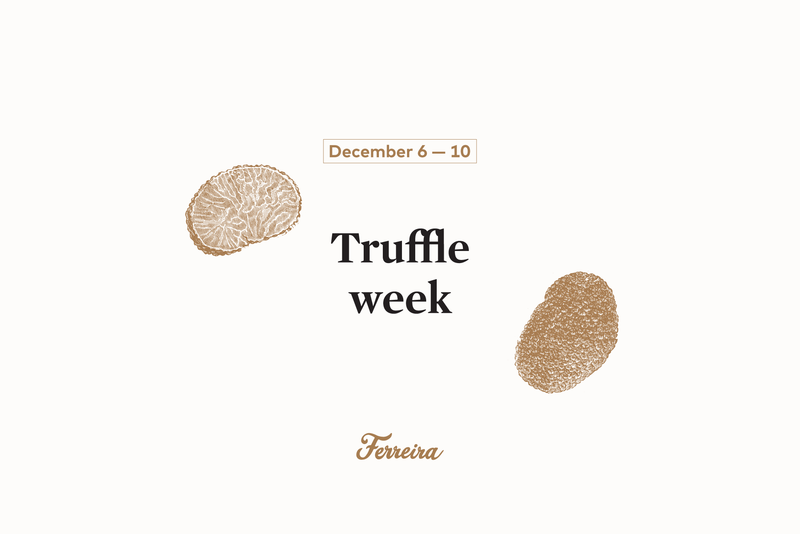 Truffle lovers: you’ll find both white truffles and black truffles on the menu during our first Theme Week! The menu below includes an appetizer, a starter, a fish dish, a meat dish, and a dessert. If you’d like to participate in our Theme Weeks, we recommend reserving ahead of time via Bookenda or by phone at 514-848-0988.